Creating instructional video tutorials using specialized software is easier than ever. By using specialized software to record your computer screen you will be able to create training videos on any subject you can imagine. Whether you want to show someone how to check their email, or how to use Skype, or how to use your software or complete a task relevant to your expertise, you can make a video tutorial by recording your computer screen. The reason you may want to make tutorial videos is because making a video tutorial is the next best thing to showing someone how to do something in person. In fact, it may even be better because you can show someone once, and if they can’t remember they can replay the video tutorial over and over again until they get it. Additionally, you can earn extra money showcasing your expertise by selling your tutorials for cash. How to create video tutorials is simple if you know what software you need. You need the right software, and you need an expertise. Ensure that you practice what you want to teach several times in order to avoid skipping important steps, keeping notes as you go along, so that your final video tutorial is perfect. You can use software such as, AviScreen, GoView and Camtasia to record your screen to create the video tutorial. Step 1: Decide what you want to record – You likely are well versed in many different topics such as “How to Build a Bird Cage”. You can use a webcam to record parts of the steps. Use video editing software to edit the steps. Then you can put it all in a PowerPoint slide show. Next, you use the screen recording software to record the PowerPoint. Or maybe you just want to create a fast show recording your screen on “How to Set Up a Google Email Account”. 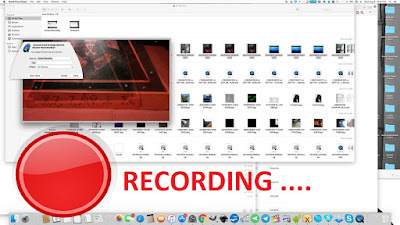 In that case, you simply use the right software to record your computer screen as you complete the process while narrating it with your microphone. Step 2: Pick a software – There are different software you can use, alone and in conjunction with others such as Camtasia, AviScreen, GoView, and SnagIt to create both moving and still shots of your screen. What software you pick will depend on your budget, and skill level. You can learn how to use almost any software by watching tutorials. Step 3: Write a script – Always write down the steps and a script. Go through your process and write down the steps so that you won’t miss anything. Step 4: Perform the script – After you write your script, perform the script. You don’t have to follow the script verbatim, but you should follow the steps so that you don’t accidentally skip over anything. That way your tutorial will be very professional. Ask a friend to view it before you set it for sale or out in the public allowing them to critique your results. This can help you add in any steps you may have missed. Step 5: Edit recording – Using the software, edit the video tutorial taking out “umms” and mistakes. Knowing you can edit as you are recording will help you not have to stop and start numerous times. Just keep going and then edit out your mistakes. Step 6: Format for viewing – Depending on how you plan to deliver the video tutorial, you will format your final product according to what is needed. Step 7: Finish up – You’re all done – sell it, give it away and promote it! Next articlewhat is Camtasia Studio 9 ?